Get ready for some sticky gooey fun. 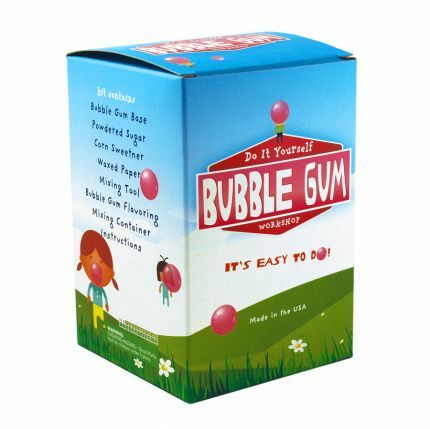 This kit makes over a half pound of the most delicious bubble gum you ever tasted. Have a bubble blowing contest. Kit provides all of the ingredients necessary: gum base, powdered sugar, gum flavoring, corn syrup, mixing container, mixing tool, waxed paper and complete instructions.